Awbrey, J.L., and Awbrey, S.M. (June 1992), “Interpretation as Action : The Risk of Inquiry”, The Eleventh International Human Science Research Conference, Oakland University, Rochester, Michigan. Awbrey, S.M., and Awbrey, J.L. (May 1991), “An Architecture for Inquiry : Building Computer Platforms for Discovery”, Proceedings of the Eighth International Conference on Technology and Education, Toronto, Canada, pp. 874–875. Online. Awbrey, J.L., and Awbrey, S.M. (January 1991), “Exploring Research Data Interactively : Developing a Computer Architecture for Inquiry”, Poster presented at the Annual Sigma Xi Research Forum, University of Texas Medical Branch, Galveston, TX. 1993–2003. Graduate Study, Systems Engineering, Oakland University. 1989. M.A. Psychology, Michigan State University. 1985–1986. Graduate Study, Mathematics, University of Michigan. 1985. Graduate Study, Mathematics, University of Illinois at Urbana–Champaign. 1984. Graduate Study, Psychology, University of Illinois at Champaign–Urbana. 1980. M.A. Mathematics, Michigan State University. 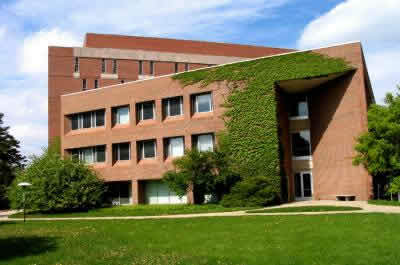 Justin Morrill College, Michigan State University. This page was last modified on 28 October 2015, at 15:28.